This was done for week one of Tim McBurnie’s Drawing for Comics class that I’m taking right now. I’d like to fix up a few things on this sketch, clean it up and put in some color eventually. 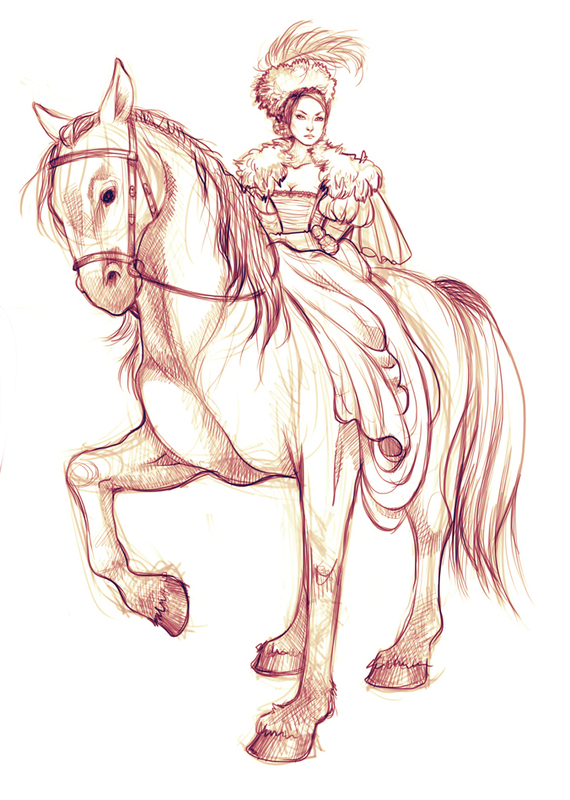 It’s of dear Anne, of course, riding her horse and looking haughty. I’m taking the class to focus on my pet project a bit more and so far it’s awesome.